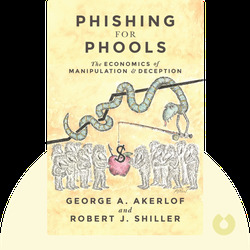 Phishing for Phools (2015) reveals the ways in which modern free-market systems, so often praised as the epitome of rational exchange, are fueled instead by willful deceit, with the goal of pushing you to act against your self-interest. 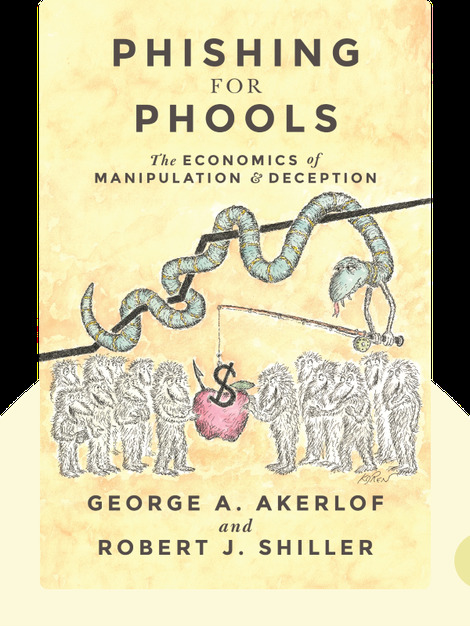 Nobel laureate George A. Akerlof is an economist and professor at Georgetown University. He was awarded the Nobel Prize in economics in 2001. Nobel laureate Robert J. Shiller is the Sterling professor of economics at Yale University. He was awarded the Nobel Prize in economics in 2013. Shiller is the author of the bestselling book, Irrational Exuberance.